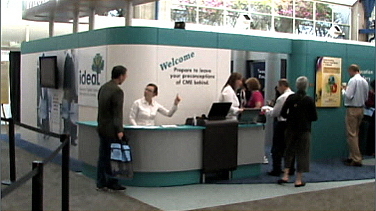 IDEALCME.org houses information, including continuing education for medical professionals, references, tools, and other educational material. Please remember that all of the information on IDEALCME.org is meant for adults who are licensed healthcare professionals. The information is selected and prepared by various authors. All recommendations or suggestions for the use of drugs, devices, or techniques reflect their opinions. No responsibility or liability in submitting this information is assumed by the authors, the editors, the accrediting institution(s), the supporting company(s), IDEALCME.org, its owners or affilitates. Before employing any such drugs, devices, or techniques, medical practitioners should secure and review complete, detailed information available from the appropriate manufacturers. While we hope you find the information on this web site helpful, please keep in mind, it is not meant to serve as a substitute for your own clinical judgment as a healthcare professional. If you are a consumer who chooses to use the professional-level information on IDEALCME.org, you should not rely on that information as professional medical advice or use it to replace any relationship with your physician or other qualified healthcare professional. For medical concerns, including decisions about medications and other treatments, consumers should always consult their physician or, in serious cases, seek immediate assistance from emergency personnel. We follow a standard set of editorial procedures for information posted on IDEALCME.org. However, we do not offer you any warranty or guarantee related to our web sites. We specifically disclaim any warranties, express or implied, including implied warranties of merchantability or fitness for a particular purpose. It is your job to evaluate the information and results from tools we provide. If you are a healthcare professional, you should exercise your professional judgment in evaluating any information, and we encourage you to confirm the information contained on our web site with other sources before undertaking any treatment based on it. If you are a consumer, you should evaluate the information together with your physician or another qualified healthcare professional. Some information on our web site comes from you or from other users. We're not responsible for that information. Whether the information comes from us or from you, Educational Awareness Solutions is not liable for any damages resulting from your use of the information on our web site. Although we are selective about the organizations we link to, we don't assume any responsibility for any web sites that are linked to our site or that you browse to after following a link from our site. While we welcome your feedback on IDEALCME.org, we must make the final decisions about the content that is posted on the site to make sure it meets the needs of all our readers. You can use the feedback link on our home page to send us comments and criticisms, but if you are dissatisfied with our response or with the contents of IDEALCME.org, your only remedy is to stop using the web site. IDEALCME.org houses clinical tools and databases intended for the use of healthcare professionals on our web site. Our tools don't give professional advice or recommend particular products. Physicians and other healthcare professionals who use our tools or databases should exercise their own clinical judgment as to the results. Consumers who use the tools or databases do so at their own risk. We or our partners own the information on IDEALCME.org. The entire contents and design of IDEALCME.org are protected under U.S. and international copyright laws. You may look at our web site online, download material to your personal or handheld computer for later reading, and even print a reasonable number of copies of pages for yourself, your family, or friends. You must not remove any copyright notices from our materials. We reserve all our other rights. Among other things, this means you must not sell our information, rewrite or modify it, redistribute it, put it on your own Web site, or use it for any commercial purpose without our prior expressed written permission. We also own the names we use for our products and services on IDEALCME.org, and these names are protected by trademark laws in the U.S. and internationally. An ® following a name on our site indicates that the trademark has been registered in the United States. All trademarks are the property of their respective owners. If your activities are noncommercial, you may make use of our trademarks by linking to us or discussing us with others, as long as you make it clear that we are the owner of the trademark. Any other uses of our trademarks require our prior written approval. When you place materials or information on our web site that are available publicly, you give us an irrevocable, perpetual license to use that information. For example, we have the right to remove or display a comment that you post on one of our discussion boards for as long as we want. We will consider requests to remove information that you make publicly available on our Web site on an individual basis (contact us at the email address we give at the end of this document). We make some software and accompanying documentation available for downloading from our web site. These materials are the copyrighted work of Educational Awareness Solutions or companies that have licensed the software to us. We do not transfer any ownership rights in software and documentation to you when you download it from our web sites; rather, you are allowed to use the software and documentation under the terms of a license agreement. You must read the license agreement that accompanies each product and indicate your agreement to those terms prior to downloading. You are not authorized to attempt to recreate or reverse engineer our software. In addition, some software available on our web site is subject to United States export controls. By downloading or using such software, you are representing to us that your download of such software complies with these controls. Educational Awareness Solutions controls its web sites from its offices within the state of Connecticut in the United States of America. The web site can be accessed from any of the United States and from other countries worldwide. Since the laws of each state or country may differ, by accessing the Web site both you and Educational Awareness Solutions, Division of Suasion Group, LLC, agree that the statutes and laws of the state of Connecticut, without regard to choice of laws principles, will apply to all matters relating to use of our web site. Educational Awareness Solutions makes no representation that materials on these web sites are appropriate or available for use in other locations, and accessing them from territories where their contents are illegal is prohibited. Those who choose to access these sites from other locations do so on their own initiative and are responsible for compliance with local laws. By accessing materials on our web site or registering you agree with all the terms and conditions of this agreement. If you do not comply with these terms, we have the right to suspend or eliminate your account, and remove any information you have placed on our site. We may also take any legal action we think is appropriate. If your violation of this agreement causes harm to others, you agree to hold Educational Awareness Solutions harmless against any liability for that harm. If there is any dispute between us concerning this agreement or your use of our web site, we both agree to submit the dispute to non-binding mediation, followed by binding arbitration. Both the mediation and the arbitration will be governed under the rules of the American Arbitration Association, and the venue for the arbitration will be in the state of Connecticut.